Are you a Hunger Games Fanatic? Test your knowledge with our Hunger Games Quiz! Good Luck and enjoy! Have you read the Hunger Games book? Do you think you know everything about the book? Try our Hunger Games Quiz and see whether you know everything! 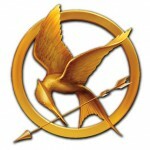 What are the poisonous berries called in the Hunger Games? How much did the film The Hunger Games cost to make? The Book has been translated into how many languages? Which district was the first to loose both of their members? Who is the narrator throughout the film? What is the famous symbol throughout the film and book? What is Katniss´s weapon of choice? Where is the location of the film? What is Katniss´s sister called?